The Endangered Species Act is one of the strongest provisions for protecting native plant and animal species at risk of extinction. By instituting protections for these species and the critical habitats in which they live, the ESA has allowed for the recovery of such iconic species as the bald eagle, American alligator, whooping crane, and the Humpback Whale. There are 1,331 plant and animal species listed as endangered or threated under the ESA. The Endangered Species Act, overseen by the U.S. Fish and Wildlife Service and the National Marine Fisheries Service, allows species of wildlife in danger of extinction to be listed as threatened or endangered and to receive protections to prevent the loss of the species. An endangered species is one that is considered to be in danger of extinction in all or a significant portion of its range. A threatened species is likely to be endangered within the foreseeable future. Under the ESA, it is unlawful for anyone to harm, endanger, or “take” a member of a listed species. This includes acts that may indirectly harm the species by damaging critical habitat or impacting other species that are vital to the listed species’ survival. The ESA also creates plans for the recovery of these species and provides resources to aid the conservation efforts of landowners, tribes, and state agencies. American Crocodile: The American Crocodile was once near extinction as the species was collected for museums and zoos and killed for sport and trade. As few as 100 to 400 adult crocodiles were living in a small area of Florida when the crocodile was listed as an endangered species in 1975 . As of 2005, the crocodile was present in much of its historic Florida range with an estimated population of 2,085 . Because of the protections of the ESA, the American Crocodile is on the road to recovery and was downlisted to threatened status in 2007. Bald Eagle: Before it’s listing as an endangered species under the Endangered Species Act, the bald eagle was missing in much of its range across the continental U.S due to factors such as habitat loss and damage to egg shells because of the chemical DDT. Reintroduction into several states in the continental US and the banning of DDT contributed to the recovery of the species, that was downlisted in 1995 and delisted in 2007, when it’s population had grown to 11,052 from 416 individuals in 1963 [3,4]. While the eagle once was missing from 13 of the states in its range in 1984, it was found nesting in each of the lower 48 states in 2006 . Whooping Crane: The whooping crane had been declining since the early 1800s because of habitat loss and hunting. When the species was added to the Endangered Species list in 1967, the population consisted of 48 wild birds and 6 in captivity . The population had grown to 513 birds by 2006 because of Endangered Species Act protections and recovery plans, which continues to protect the species that is still threatened by such factors as habitat loss and low genetic diversity . 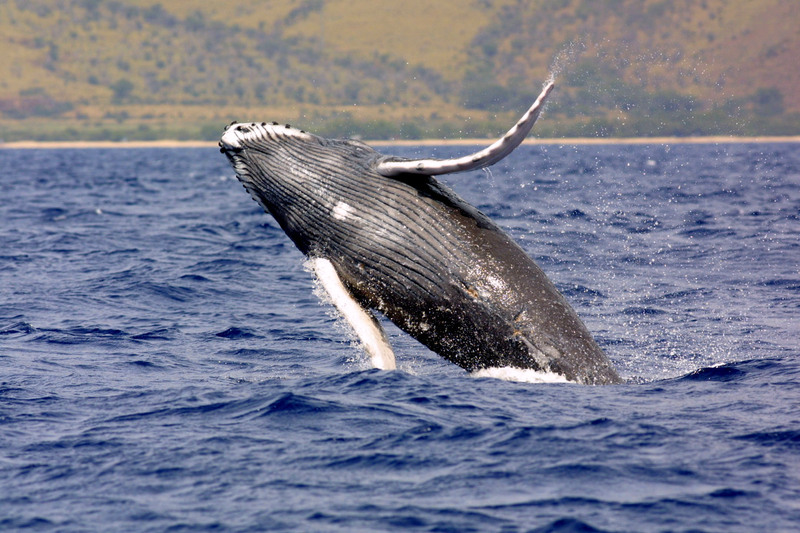 Humpback Whale: The humpback whale population was greatly threatened by commercial whaling before the early 1900s. 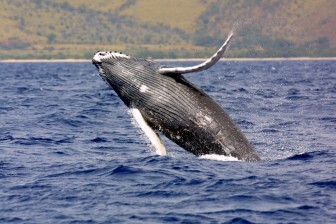 In 1966, the North Pacific humpback population was estimated to be around only 1,200 individuals . ESA protections allowed for a dramatic increase to a 2010 population estimate of 21,808 . The population will continue to recover through efforts to protect and restore this species. Black-Footed Ferret: The black-footed ferret was once thought to be extinct, largely due to the loss of prairie dog colonies which comprise the majority of their diet. In 1981, a small population was discovered in Wyoming . This population was then taken into captivity in 1987 and are the founders of all of the subsequent reintroduction. As of 2008, the ferrets have been reintroduced into 18 sites and the Fish and Wildlife Service estimated that the total population consisted of 1,410 ferrets in early 2010 [10, 11]. 1973: The Endangered Species Act was signed into law in 1973 by President Nixon and is administered by the U.S. Fish and Wildlife Service, as well as the National Oceanic and Atmospheric Administration. This act defined Endangered and Threatened species and extended eligibility for protection to all plants and animals. 1978: An amendment is passed that allows federal agencies to undertake an action that would threaten listed species if exempted by a committee created for that purpose. 1978-79: The Supreme Court halts the construction of the Tellico dam because of threats to the Snail Darter. The Tennessee delegation puts a rider into an appropriations bill that exempts the dam from ESA restrictions. The Tennessee Valley Authority completes the dam. 1982: Congress passes an amendment stating that decisions on the listing of species must be made solely based on biological and trade, rather than economic, factors. 1988: An amendment is passed that requires monitoring of candidate and recovered species. This amendment also requires that recovery plans be subject to public notice and comment. 1995: In the “Sweet Home [Oregon] decision”, the Supreme Court affirms that an alteration of a listed species’ habitat qualifies as “taking” of that species, and that habitat modification can be regulated by the US Fish and Wildlife Service. 1995: Congress passes a rider that places a moratorium on the listing of new species for a full year. 2004: Congress enacts the National Defense Authorization Act along with an amendment that exempts the Department of Defense from critical habitat designation provided that a natural resources management plan is in place. Despite its success and vital importance for protecting America’s wildlife, the ESA has faced many attacks throughout its history. This year alone, several members of congress have proposed bills that undermine the Endangered Species Act. Some of these have attempted to authorize oil drilling in fragile ecosystems and critical habitats, remove funding from the protection of fragile species, and deregulate important measures that protect species and their habitats. It is vital that we remind our lawmakers to uphold their duty to our nation’s plants and animals by supporting the mission of the Endangered Species Act. U.S. Fish and Wildlife Service. 2005. Proposal for Reclassifying the American crocodile distinct population segment in Florida From endangered to threatened and initiation of a 5-year review. March 24, 2005 (70 FR 15052). Stehn, T. 2007. Whooping crane numbers – November 22, 2006. Report provided by Tom Stehn, U.S. Fish and Wildlife Service, on May 16, 2007. NOAA Fisheries. 2005. Stock Assessment Report. Humpback Whale (Megaptera novaeangliae): Eastern North Pacific Stock, revised May 15, 2005. National Oceanic and Atmospheric Administration, Washington, D.C.
 NOAA Fisheries. 2010. Draft Stock Assessment Report. Humpback Whale (Megaptera novaeangliae): Central North Pacific Stock, revised Jan 28, 2010. National Oceanic and Atmospheric Administration, Washington, D.C.